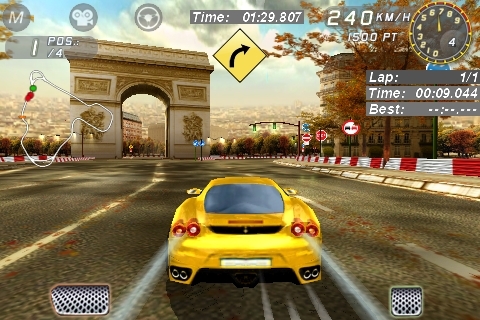 Join the elite circle of Ferrari car owners and take part in exclusive races around the globe in the truest and most immersive racing simulation on iPhone and iPod touch. • 33 authentic Ferrari car models: the new Ferrari California, F430, Enzo Ferrari, F40, Testarossa, 250 GTO, and more. 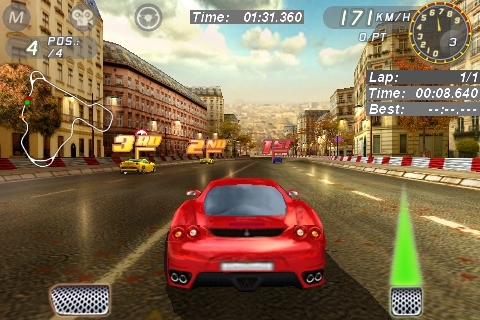 • Multiplayer mode to challenge your friends in heated races. • 3 control modes (including motion detection) for varied and realistic driving simulations. • Complete courses on a circuit to obtain your driver’s license. • Great sense of freedom as you travel across 7 famous cities (Madrid, Athens, etc.) choosing your own path as you go. Make your dream come true... drive your own Ferrari car! Recommended for fans of racing games. "The cars and levels look fantastic. Very pleasing to the eye."